It’s the city’s best kept secret: most of FRANKENSTEIN —the book that invented science fiction—was written in Bath. And Mary Shelley’s life, as she wrote it, was at least as gothic as the story she created. FRANKENSTEIN IN BATH is a real life tale of secrets and lies, suicides, concealed births, ruined reputations and false identities. Walk in Mary Shelley’s footsteps as she created her gothic masterpiece. See where she lived and wrote – now marked by a plaque after 200 years. Discover where—and why—she hid her dark secrets. Meet: outside Sally Lunn’s North Parade Passage, Bath BA1 1NX and ends close by. Cost: £10, advance booking recommended (some tickets available each night, cash only). Lasts: Lasts approx 90 mins. Mainly on the flat with stops along the way. Dates & Times: 7pm every Friday from 12 April to 8 November. Please check booking site for the latest dates. Not recommended for under 12s. Private tours by arrangement. Simplified 1 hour tour for students studying English, contact us for more information. Bedminster — where graves were robbed by body snatchers, and corpses buried in concrete coffins. Where the old Chinese laundry vanished years ago, and where ‘laundering’ now means money, big money, 13 million, ‘laundered’ through a Bedminster bank. 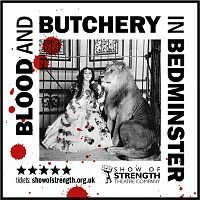 …the answer is in BLOOD AND BUTCHERY IN BEDMINSTER, — so successful we keep adding more dates, so check the booking site for the latest. Join us at The Ropewalk on Bedminster Parade and visit a few more pubs along the way, all with fascinating tales to tell – including the gruesome fate of John Horwood; the man eaten by a lion; and Bedminster’s own Romeo and Juliet. Cost: £10, advance booking only, buy your own drinks. Lasts: Lasts approx 2 hours. Dates & Times: 7pm Tuesdays 29 January to 30 April. Please check booking site for the latest dates. Private tours by arrangement, contact us for more information. Edward Teach – aka Blackbeard – was the world’s most famous pirate. And until his violent death in battle 300 years ago he was also the most feared. Teach is said to have been born in Bristol but no records survive. Now new research in Jamaica has proved his family’s West Country origins – and the Blackbeard emerging from the shadows couldn’t be more different from your average, rum soaked TREASURE ISLAND pirate. 2018 was the 300th anniversary of Blackbeard’s death. 2019 is the 300th anniversary of ROBINSON CRUSOE – a fiction based on fact with strong links to Bristol and Edward Teach. 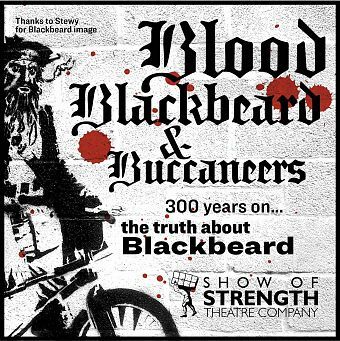 Walk in Blackbeard’s footsteps in Bristol docks, and by the end of the tour you’ll be able to separate the fact from the fiction, with a bit of help from Ted, the Bristol parrot. Meet at The Golden Guinea in Redcliffe (BS1 6SX), finishes near The Centre. Lasts: 2 – 2 ½ hours. Mainly on the flat with 3 more dockside hostelries along the way. Check booking site for the latest dates. 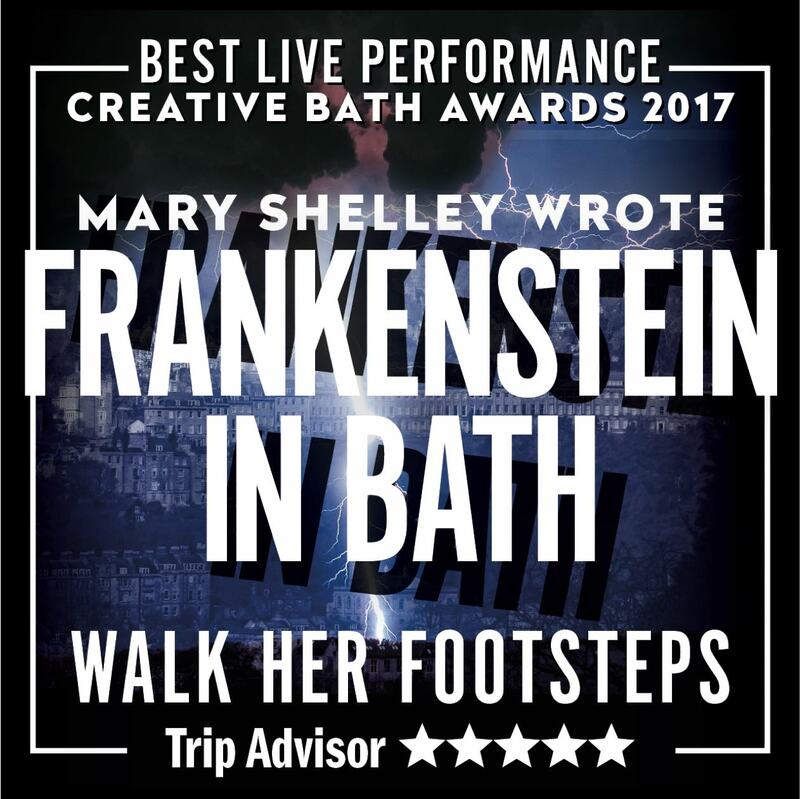 To mark the 200th anniversary of Mary Shelley’s Frankenstein, Sheila Hannon, has researched, written and produced a new theatrical walking tour of Bath, where much of the novel was written. She shares here some insights into the city’s significant role in the development of Shelley’s classic work.